Call us at (303)-422-4220 to schedule a tour! Call us at (303) 422-4220 to schedule a tour! Registration for the 2019-2020 School Year is now open. A personal visit by parent and child is strongly encouraged. Please call our office to schedule a tour. A child may be enrolled (providing space is available) at any time after the child's third birthday by filling out a registration form and paying the required registration fee. Once registered, a welcome packet with the required forms will be sent to you via email. 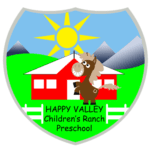 The state required forms must be submitted to Happy Valley prior to your child starting school. A General Health Appraisal Form (included with the enrollment packet), requiring a physician's signature, must be submitted within 30 days of enrollment. If you do not get the welcome packet email, please give us a call. Admission Requirements: Children must be mastered in toileting and up to date with their immunizations as required by the Colorado Department of Health. No personal exemptions are accepted. We do accept medical exemptions signed by a doctor. Registration for the 2019-2010 School Year and 2019 Summer Camp is now open to new families. To register your child, please fill out the Registration Form and deliver to our office with the registration fee in the form of cash or check. Classes will be assigned on a first come first serve basis. Click Below to View our current school calendar.